A creamy chocolate cheesecake served on a crisp Oreo crust and topped off with dark chocolate ganache and homemade whipped cream. No water bath required! 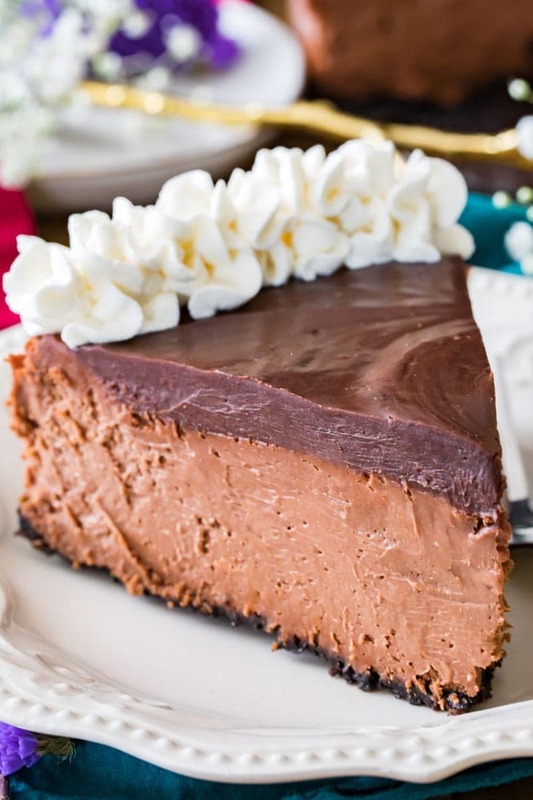 Is there a better kind of cheesecake than chocolate cheesecake? How about one that’s served on an Oreo cookie crust, smothered with dark chocolate ganache, and decorated with homemade whipped cream? If you saw Friday’s recipe, you hopefully caught the sneak peek for today’s recipe and knew that this was coming. 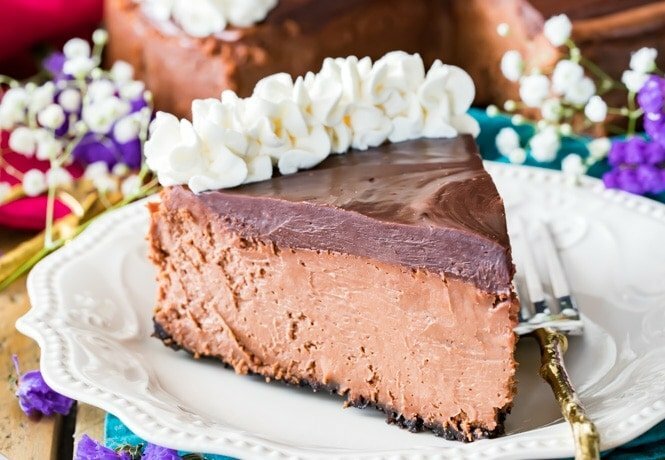 It’s not exactly a chocolate pie as some of you guessed (I already have one of those on the blog, though it’s a close call to say which I like better), it’s a creamy, easy chocolate cheesecake. Now let’s go over a few things to make sure your chocolate cheesecake comes out perfectly, every time. Room temperature ingredients are key for making a perfect chocolate cheesecake. You want your eggs room temperature and cream cheese softened to room temperature as well, using room temperature ingredients allows them to combine thoroughly and evenly. 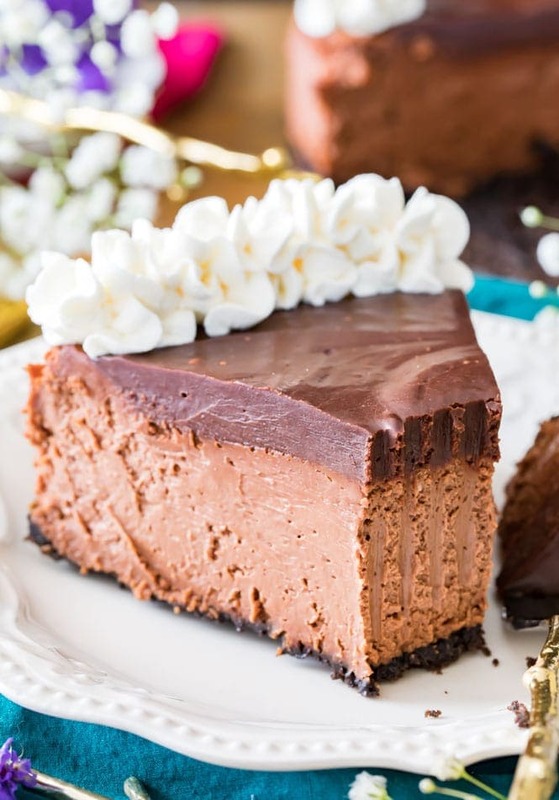 It’s also important that your cream cheese be softened because if it is too cold it may leave lumps in your cheesecake, or when you add your melted chocolate it can cause the chocolate to harden, leaving chunks of hard chocolate in your cheesecake. Admittedly, the latter isn’t the worst thing that could possibly happen, but we want a smooth cheesecake, so let that cream cheese soften! I never use water baths with my cheesecakes, it’s always just been too much of a hassle and not enough success to warrant using one, and so you may have noticed that none of my cheesecake recipes use water baths. No exception here, but no cracks, either! How do I keep my cheesecake from cracking without a water bath? Don’t over-beat the eggs when you add them. Stir on low-speed just until combined after each egg, and make sure to pause after each addition to scrape down the sides and bottom of the bowl. Over-beating the eggs can actually ruin the texture of your cheesecake and can cause cheesecake to crack. I know how tempting it is to want to check on your cheesecake before it’s finished baking, but opening the oven door can drastically reduce the temperature of your oven, slowing the baking process and causing your cheesecake to sink. Once your cheesecake is done baking, run a knife around the inside of the springform pan to loosen it from the sides. Otherwise, as the cheesecake cools and contracts, it will stick to the sides and the tension may cause cracks. I always let my cheesecake come to room temperature on top of the oven before transferring it to the refrigerator to chill and set completely. 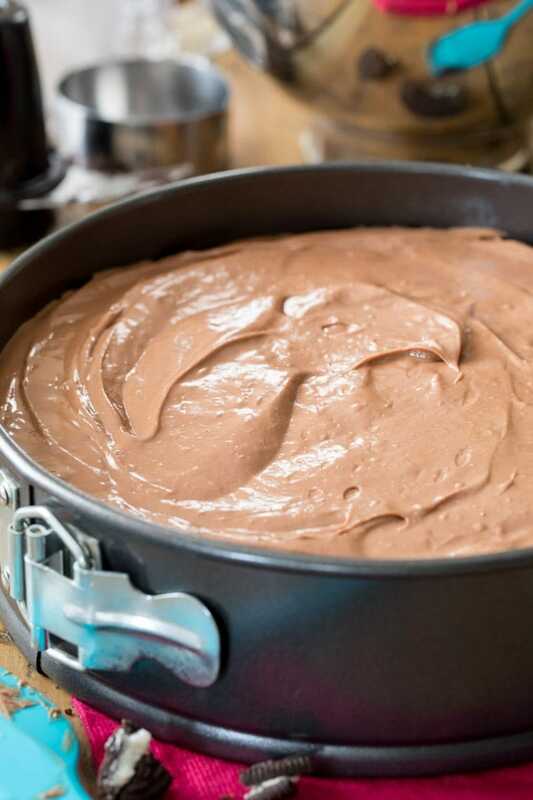 Can I also mention here that even if your cheesecake totally does crack in the middle, it hardly even matters because we’re going to be covering it with a thick, dreamy layer of chocolate ganache? How do I know if my cheesecake is finished baking? Touch and jiggle! Look for edges that are set (they may even be beginning to turn a golden brown) with a center that still slightly jiggles but bounces back to the touch. Once your cheesecake is finished baking and chilled, I really recommend topping it off with whipped cream. This is completely optional and may seem like overkill when you already have these three rich chocolate pieces (Oreo crust, chocolate cheesecake, chocolate ganache), but the airiness of the whipped cream almost seems to lighten up the chocolate decadence. For this recipe I used a half batch of my favorite homemade whipped cream. 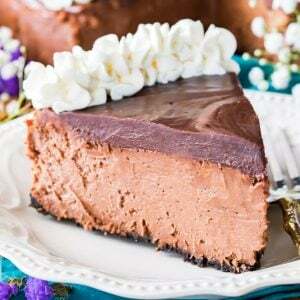 An easy chocolate cheesecake, no water bath required! Preheat oven to 350F and wrap the outside of a 9" springform pan with foil (this is to prevent any leaks). 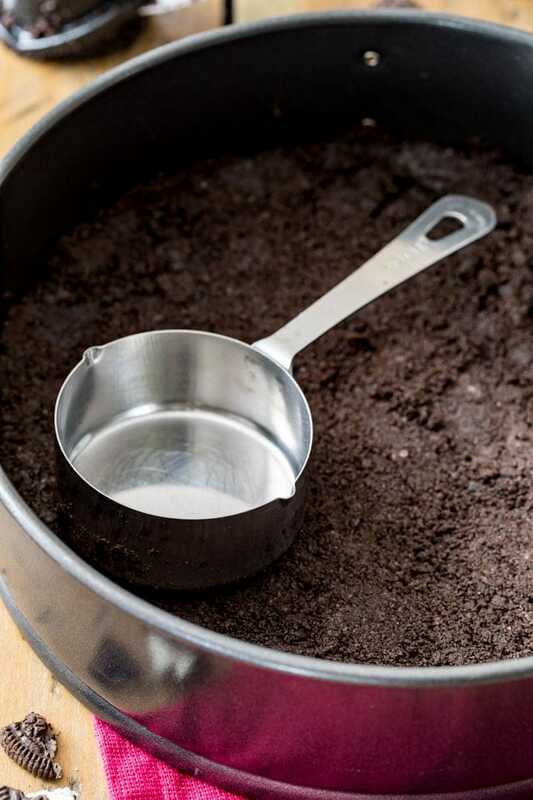 Prepare Oreo crust according to recipe instructions and set aside. Chop your chocolate bars into small pieces (if using chocolate chips, you do not need to chop) and place in a medium-sized bowl. Microwave for 30 seconds, stir well. Microwave again for 15 seconds and stir again, repeat until chocolate is smooth and completely melted. In a stand mixer (or in a large bowl with a hand-mixer), beat together softened cream cheese and sugar, scraping down the sides with a spatula occasionally to ensure ingredients are mixed well. (beat on medium-speed about 1-2 minutes, scraping down side occasionally). Stir in melted chocolate until completely combined. Spread cheesecake batter evenly over prepared cookie crust. Bake on 350F (175C) for 40-45 minutes or until cheesecake is set in the center and springs back to the touch. Allow cheesecake to cool to room temperature, and then transfer to refrigerator and chill at least 6 hours before covering with ganache. I have prepared the recipe, baked and cooled overnight. I am doing a peanut 🥜 butter topping. I have never baked a Cheesecake…so I am eager to bite into this home baked one! I did also flavor with Peanut 🥜 Butter chips. I really enjoy reading your post and baking trials. I too am an accomplished baker. Have been selling my baked goods for years. 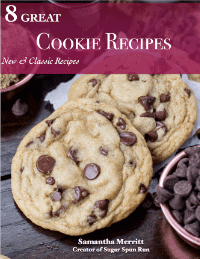 I think it is so nice of you to publish your recipes for others to use. I especially liked your Chocolate cheesecake recipe. I have one really close to yours but yet different. So always of interest to see if I can improve mine. I have made yours and am taking it as a requested dessert for a covered dish tonight. Will be interesting to see if they notice a difference. From one who lives to bake keep up the good job. Almost everything can be solved over a good dinner and dessert made for the occasion.